Westiepoos are not a purebred dog. They are a cross between a West Highland Terrier and a Poodle. This breed is recognized by the ACHC (American Canine Hybrid Club) and is considered a designer mixed breed. 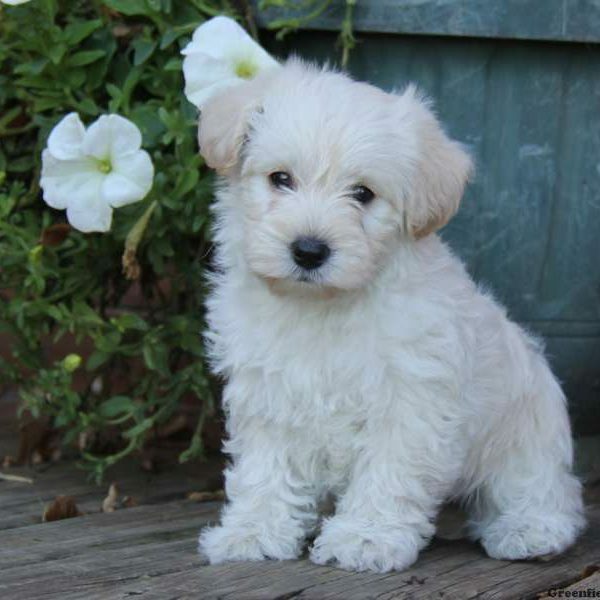 Before deciding if you should add a Westiepoo to your family, you should research both dog breeds separately and make comparisons. You may also want to research Westiepoo owners’ opinions of their dogs. This mixed dog breed is playful, affectionate, and cheerful. They adore meeting new people and pups, but will need plenty of socialization at a young age. Westiepoos are also intelligent, loyal, sweet, and loving. These characteristics make them perfect for a medium-sized or growing family. The Westiepoo tends to be wonderful with children, but can be somewhat protective around strangers. 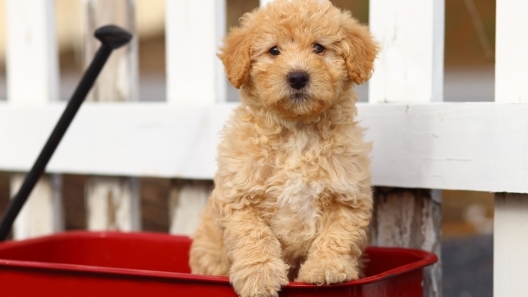 This outgoing and social dog breed can be prone to barking because of their protective streak. But, they can be trained to calm down quickly and quietly if given positive reinforcement and patience. Because they are somewhat active, Westiepoos will need some space. They are best-suited in small or medium-sized homes with a small yard. This will give them plenty of space to romp without harming themselves or others. This dog breed adores being around their family and can be very affectionate. The Westiepoo thrives in growing families and enjoys that there is always someone to cuddle or play with throughout the day. If you have children that are in school, and you work outside the home, it may be best to bring them to work if possible. Because Westiepoos are a mixed breed, they will have a larger gene pool to pull from.They will be less likely to have chronic issues that are associated with their purebred counterparts. 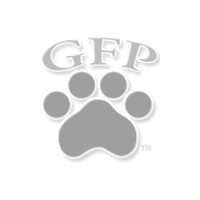 They do, however, need to have regular veterinary checkups to keep up with exams, vaccinations, heartworm prevention, and topical flea and tick preventative measures. 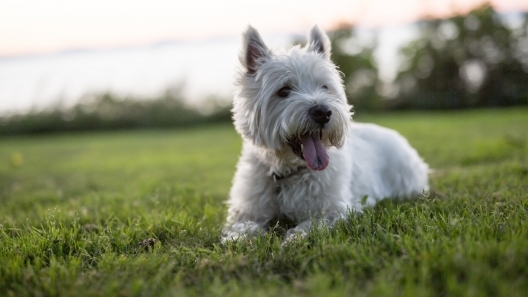 Although Westiepoos are a healthy breed, they may fall ill with addisons, pateller luxation, hypothyroidism, craniomandibular osteopathy, and pulmonary fibrosis. It’s best to continue regular vet visits to combat or avoid these issues so your pup can stay happy and healthy for many years to come. Westiepoo puppies are somewhat easy to train, but will need plenty of patience and positive reinforcement. Results from training will come gradually and will remain over time as long as you are consistent. If your Westiepoo is your first pet, you may want to work with a trainer. Regular grooming is required for the Westiepoo. You should brush your dog every day and bathe them as needed. Make sure to have your dog groomed every season so they can stay comfortable and healthy. The Westiepoo is fairly active and will need daily exercise. The best exercise for a Westiepoo is at least an hour walk every day. A trip to the dog park multiple times a week will also keep them healthy and calm. If you enjoy hiking, running, or biking, it’s great to take your pup with you at least once a month. Just be sure to bring plenty of water for you and your dog and maybe even a doggie-safe backpack in case they need a break. A Westiepoo stands 9 to 16 inches tall and weighs 30 to 40 pounds. This mixed dog breed generally lives 12 to 15 years. If you’re thinking about adopting a West Highland White Terrier puppy, you’re in for a world of delights. Here are four things to know about Westie puppies.